Metlang provides consecutive and simultaneous interpreters for meetings, depositions, court proceedings, doctor and lawyer visits, seminars and conferences. All of our simultaneous interpreters have satisfied the skill and training requirements established by the international interpreting associations, and most are accredited by organizations such as the federal or state court system, the National Association of Judiciary Interpreters and Translators (NAJIT) or the U.S. State Department. 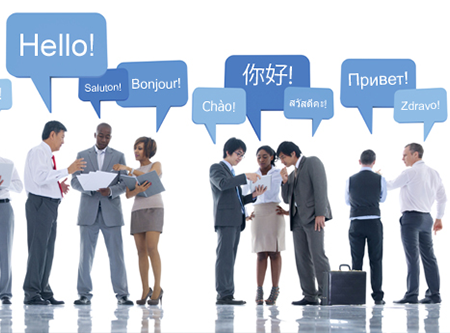 Our comprehensive database allows us to find the interpreter best qualified for any assignment. In addition, we provide interpretation equipment rentals, including soundproof booths, headsets, receivers, multi-microphone systems and wireless microphones. For more information or to receive a free price quotation, please send an e-mail to info@metlang.com or call (800) 421-0303. All services are available via our GSA Schedule Contract.